SENSELESS, the Torn World short story included in the In the End anthology earlier this year, is now available independently! Reqem is thrilled to be out on his first journey as an adult, and is dismayed to find that the barrier he came to see has vanished. Disappointment turns to excitement when he realizes that the fall of the barrier has revealed new land, unseen by any person since the Upheaval broke the world into parts. Torn World is a share world sandbox, the setting of hundreds of short stories and playground to a dozen artists and authors. 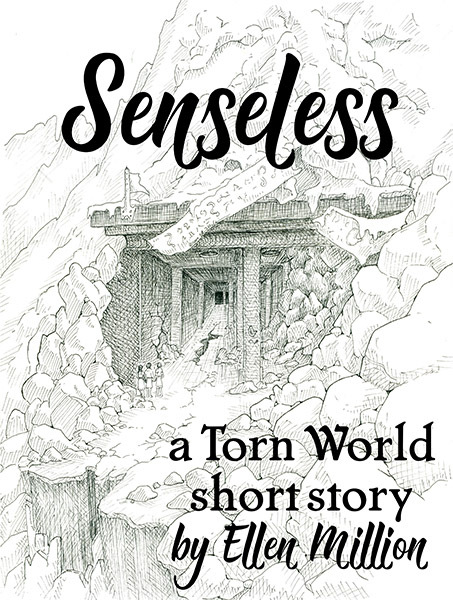 Senseless is a short story of about 6000 words, a stand-alone set about 50 years prior to our current stories. I am always deeply grateful for reviews on Amazon or on the Torn World site. I'm not expecting great things of this one in particular, but it's a stand-alone that is fully reserved for supporters, and seems like a good place to start in terms of making more of my work available in ebook format. I'm hauling myself up the formatting curve, but will be working on some more complicated collections shortly!